Your fellow magi will gather for an afternoon of food, fun and magic! Social hour-2 to 3 pm. Flea market will be open! Awards by each club at 3 pm. Dinner at 4 pm. After dinner we will have the War of the Wizards! Hot Dogs, bratwurst, mettwurst, hamburgers, Italian sausage, cheeseburgers, black bean veggie burgers, sliced American cheese, relish, mustard , catsup, mayo, potato salad, creamy style cole slaw, fresh pasta salad, macaroni salad, hot baked beans, ripe sliced tomatoes, sweet onions & shredded lettuce, sauteed green peppers, onions, mushrooms and hot sauerkraut for toppings. The clubs will provide the drinks, desserts, chips, pretzel, and popcorn. Tom Vorjohan Lecture May 25th. KT Magic will then be hosting our lecture by none other than Tom Vorjohan! Tom is a native of Cincinnati where he started doing magic by hanging out with Bill Pryor at his “MagiCorner” twice a week starting in the 6th grade. Tom was active with the Counts of Conjuring, and then his chosen career path of being an engineer took him away. “This is indeed an honor,” Tom said about being asked to lecture to the Cincinnati Ring. While in college in Terre Haute, Indiana, Tom began working once a month with the Jimmy Trimble Assembly at a restaurant called “Deli on the Green,” and this led to his first weekly restaurant gig at another establishment. That was 1985, and he has been working at one or more restaurants every week ever since! This includes restaurants in Dallas, Cincinnati, Evansville, and now Knoxville. He even had an opportunity to work at “Illusions” restaurant in Carmel, Indiana on several occasions. Although he didn’t move to Boca Raton, Florida, one of his favorite quotes comes from Bill Malone who said, “I’ve looked at 41 videos of people doing restaurant magic, and you are the only one who gets it.” Mr. Malone went on to tell Tom that it’s all about making people have fun and want to stay…and to come back. This information is great, but the bulk of the lecture is about the magic. Tom has developed a style of hard-hitting magic that is ideal for family restaurants. In a typical night, Tom will bounce from a table of grandparents to several tables with parents and a couple kids and maybe even a young couple out on a date. “The Approach” is critical and the way that Tom engages an entire family (from the dad who is worried if this is going to cost him money to the teenager who would rather be texting to the over-active seven-year-old and his protective mother) so that everyone has fun and wants to come back. Tom’s favorite “Any Card at Any Number” that allows four people to have an active role in the effect. The tried-and-true “Multiplying Rabbits” and how this presentation morphs depending on the age or the children or the variety of responses from the family. Tom’s three-phase Ring & String routine that has been tested thousands of times to be his signature effect. A couple of Nick Trost’s excellent routines suitable for strolling with a full deck that allow for great interaction with the audience including having the spectators cutting to the aces. Several of the sight gags, one-liners, and conversation starters that Tom uses to determine whether a table wants to see some magic. There are a variety of other effects covered depending on the interests as well as the interest level of the audience. Tom’s version of his Chop Cup routine is a great example of what Tom will discuss about a “Kamikaze” magic style. His Bill Change routine is one that you will not ever see again. In addition, Tom will discuss the “power of latex” and using balloons in the restaurant to make the place seem like a party. 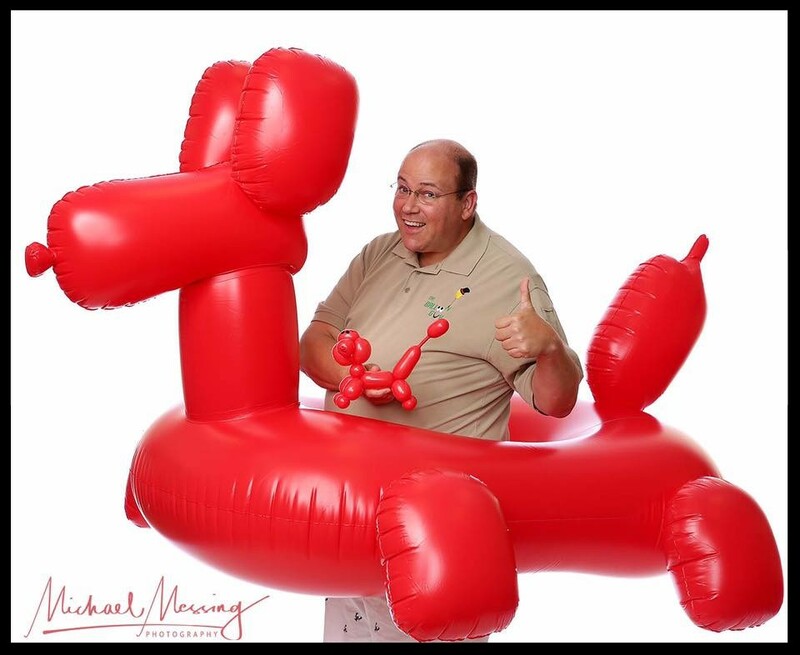 While Tom is a three-time award-winning balloon artist, he very strategically uses his balloon talents in the restaurants to again get people to want to come back. If you can get Tom to shut up and go home after a couple hours, you will be lucky. He has 33 years of experience working in the restaurants – with the managers and servers – and he has load of information (albeit “wisdom” some might say) to share during this lecture. 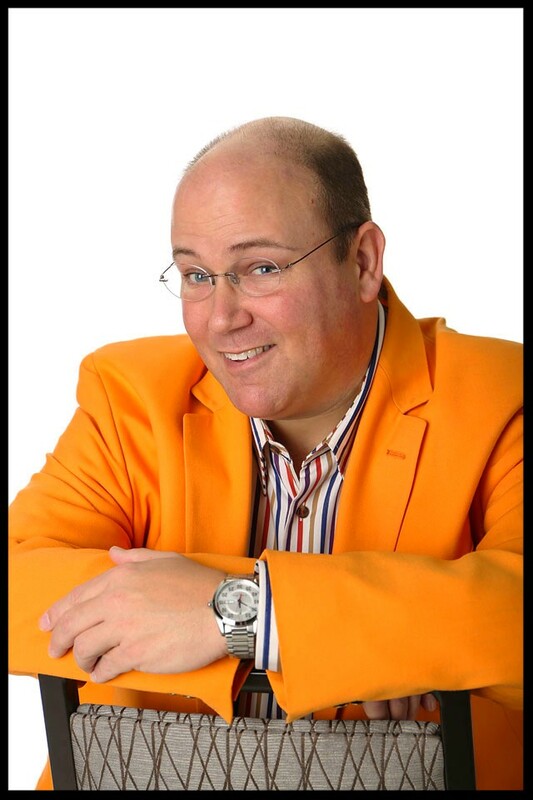 Like his performances, Tom promises lots of fun as well as some great magic! A big “Thank you” to all who came out to KT Magic to see the Cody Nottingham lecture! It was great to see everyone and welcome our newest members! We are having our auction on Saturday, April 28th at the Amberley Village Community room and would like to have more sellers. I would like to have a list of who will be selling by April 21st. Please see below for more information. We also need three members to perform for our War of Wizards Contest at our annual picnic on June tenth. Each act should be eight to ten minutes long. Let me know if you are interested by May 1st. Reply to me at hartzelp@fuse.net. You can also reach me by calling 679-1607. 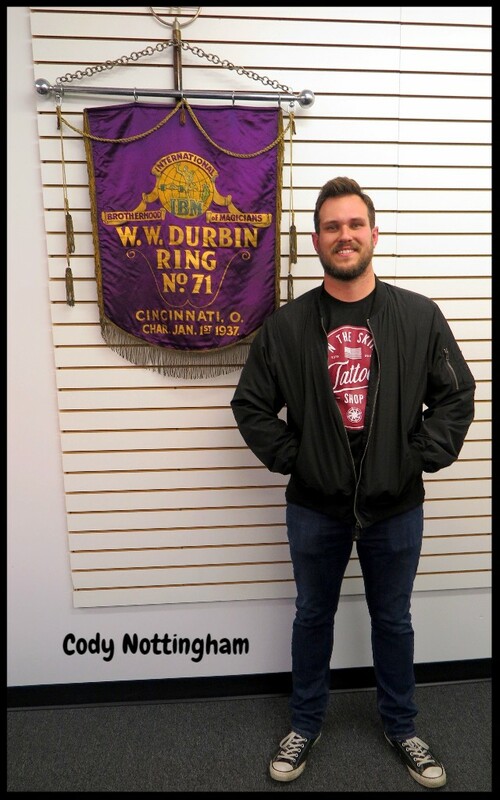 Cody Nottingham lectured for Ring 71 on March 28, 2018 in a room packed with over thirty-five members and guests. President Pat Hartzel opened the evening by welcoming guests and announcing our upcoming events. These include the Magic Auction will be held on Saturday April 28th, the Tom Vorjohan lecture and elections on May 25th, and the picnic on Sunday, June 10th. Attendees were encouraged to register for the 2018 IBM Convention to be held in Grand Rapids, Michigan. Pat Hartzel provided the status of club finances, and mentioned that a portion of the monies in the checking account will be used to open certificates of deposit. Sir Pat-Trick Thernes introduced our lecturer, Cody Nottingham. Cody is a member of the Lexington IBM Ring, and has been a consultant for Penguin Magic, The Illusionists, and Eric Jones. Cody explained that he creates simple gimmicks and easy-to-perform routines by taking complex ideas and breaking the concepts down into simple key components, often using basic sleight of hand techniques. Cody opened his lecture with several mind reading routines. He first demonstrated a prediction of a number, often used as an icebreaker opener to an ambitious card routine. His next mind reading effect involved a volunteer writing down information on a stack of business cards which were then placed in an envelope; Cody successfully determined the information and explained his method. He also explained how to use friction pens to mark backs of cards for additional effects. In another routine, Cody demonstrated and explained the use of gimmicked envelopes to peek at prediction cards that were placed inside the envelopes. He then demonstrated how to use a calculator from a borrowed phone, to perform a series of mathematical calculations and obtain a forced prediction number result. In his next demonstration, which was well received by the audience, Cody had a volunteer select a card, which he shuffled into the deck, and after a series of moves, the selected card appeared upside down in the deck. Cody explained methods to change both the placement and direction of the card. He included both swivel and biddle movements to achieve this effect. · Pen through dollar bill without using a gimmicked pen. Many of the demonstrated effects were further explained on DVDs which were available for sale at the end of the lecture. Following the lecture, many of the attendees adjourned to a local restaurant for late night dining and more magical discussions. The Magic Auction returns to the Ring! President Pat Hartzel would like to have a list of who will be selling by April 21st. Please contact him so he may email you a spreadsheet (example below). Each seller will have to opportunity to list up to twenty items to be sold on the first round. Sellers having more than twenty items will need to have a second list starting with items twenty-one and up to go on to round two. Ten percent of the sales will benefit Ring #71. There will be a $5.00 fee for a buyer’s number at the door. Set up for sellers will start at 11 AM, with the Auction starting at noon. We do need to be out of the room by 5 pm., so we will be wrapping things up around 4pm. Walk-in sellers on the day of the auction will not be accepted. Please contact Pat Hartzel for a seller’s spreadsheet, or call him with any questions. The Auction will be now be held in the Community Room of the Amberley Village Municipal Building, 7149 Ridge Road, Cincinnati, OH 45237. The entrance is in the back of the building on the lower level. There is plenty of parking and is easily accessible from Interstates 71, 75 and Ronald Reagan Highway. KT Magic will then be hosting our lecture by none other than Tom Vorjohan. Tables, Posters, Sound and Lighting Equipment, Curtains. We are accepting consignments for this auction. Consignments will be not be accepted on day of auctions. 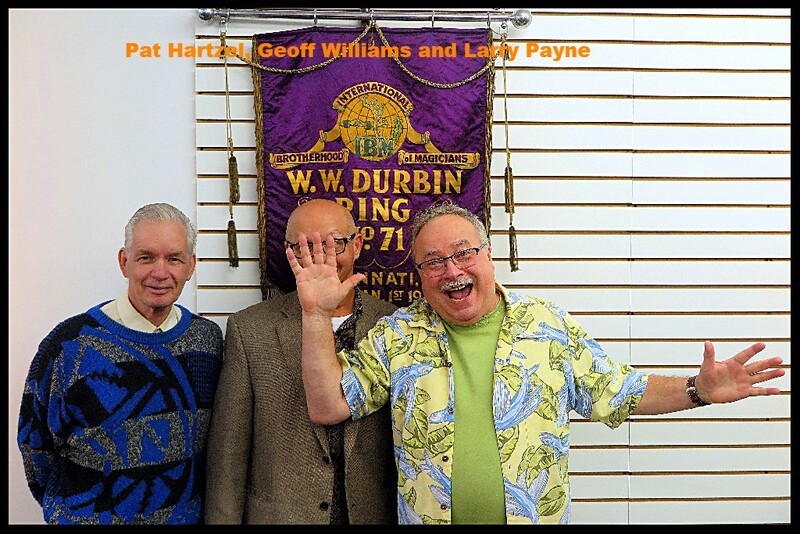 Please call Larry for updates on consigning. Our annual combined picnic will be taking place on Sunday, June 10th. We are bringing back the “The War of the Wizards” contest, which is always a fun event! The IBM is seeking performers to compete against the SAM. Brush up on your routines and get ready to wow them so the IBM can bring home the win! Please let President Pat Hartzel know you are ready to go for the gold! Come join your fellow magi for an afternoon of food, fun and magic! The clubs will provide the drinks, desserts, chips, pretzel, and popcorn. All this for $15 per person. Sorry, no children under 14 allowed. Payment required at time of reservation. Reservations must be made by Friday, May 25th, as we need to give a count to the caterer. 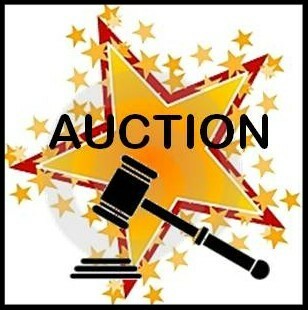 Please either pay at our April Auction, May meeting or by mail. Gazzo Lecture in Lexinton Ky.
Gazzo is a street performer, who teaches tried and tested routines from the street, that can be performed in any environment. Gazzo also teaches audience management and will discuss any topic the crowd is interested in. The Lecture will be held at Mark Comley’s new home: 2116 Hunters Wood Lane, Lexington KY 40502. I hope everyone can make it on short notice. This lecture will be well worth the time you invest! Our 7pm. meeting at KT Magic will be a lecture by Cody Nottingham. Ring Penetration: A gimmickless ring-penetration effect that starts on the finger of one hand, and ends up on the finger on your other hand. Ring Through Shirt Penetration: A variation on the ring penetration where the ring travels through the fabric of your shirt. Queens Assembly Routine: A gimmickless and impromptu routine where 4 Queens are placed onto 4 different packets of cards. One by one, the Queens in each packet disappear and finally reappear onto the final packet. Dude Where’s Your Card? : A spectator chooses a card and loses it back into the pack. The magician now uses the Queens to find the spectator’s card. Punched and Restored Bill: A spectator punches a hole in a bill. In a split second, the hole is gone! Interchange: A utility switch device hidden in plain sight. Incredibly easy to build and even easier to use! Top Card Tenkai: A move that gets a card that’s supposed to be lost in a pack into Tenkai palm position with one hand. One Handed Card Switch: Inspired by the MacMillan Switch, this is a quick and mechanical card change with tons of potential uses. Various Triumph: A chosen card is lost in a face-up and face-down deck. The magician fairly cleans up the face-up and face-down situation, but when the magician spreads the cards, the selected card is the only card reversed in the deck! Cipher: A simple and devilishly clever bill serial number divination effect. It’s easy to perform and even easier to get great reactions. TC Change: A visual color change of a vertical card in a horizontal deck. Cody’s Queens: Cody’s version of Bill Goodwin’s “Queens.” A visually stunning piece of magic where Queens seem to disappear from the top of the pack into the middle of the deck. Cody’s Pop Out Move: A selection pops out of a riffle and bridged deck. Spread Split: A flourish that reveals and displays the middle card of a sandwich trick! Admission for IBM Ring #71 members is FREE. Guests are welcome and their entrance fee is $15. The Magic Auction returns to the Ring! Make sure to sign-up to sell by April 1st. The first to signup will be Seller #1, the second will be Seller #2, and so forth. Please provide a list of items for bid including a minimum price (if any), and a description of the item or items if you want to bundle a few for one price. Each seller will have to opportunity to list up to twenty items to be sold on the first round. Sellers having more than twenty items will need to have a second list starting with items twenty-one and up to go on to round two. Ten percent of the sales will benefit Ring #71. There will be a $5.00 fee for a buyer’s number at the door. Set up for dealers will start at 11 AM, with the Auction starting at noon. Walk-in dealers on the day of the auction will not be accepted. Please email your item list to Pat Hartzel, or call him with any questions. Before our May 25th lecture, we will be having elections. If you would like to serve on the board (three positions are up) or be an officer, please let Mark Wiechman know that you are interested. The nominating committee will be putting forth their candidates for the 2018-2019 year. KT Magic will then be hosting our lecture by none other than Tom Vorjohan. More information to follow! The Ring is working out all the final details for the picnic. As soon as all is confirmed, we will let you know! Ring #71 held its annual Close-up contest on February 23, 2018 before a nice crowd of magicians and guests. 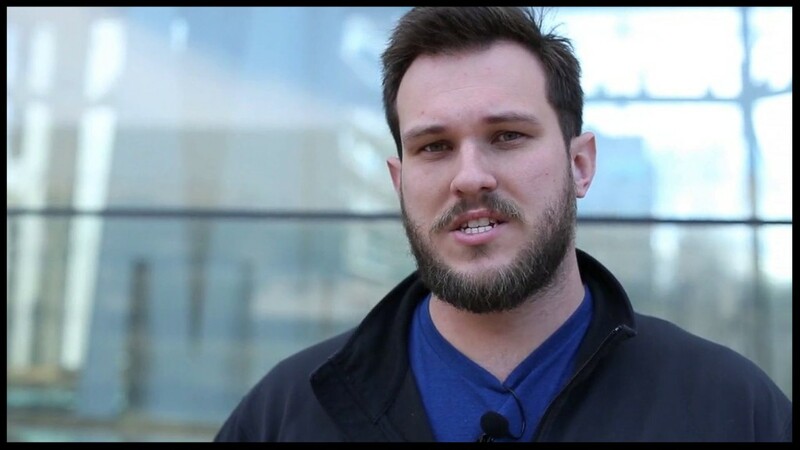 President Pat Hartzel mentioned future events: Cody Nottingham lecture on March 23rd, Magic Auction on Saturday April 28th, Tom Vorjohan lecture and elections on May 25th, and IBM picnic on Sunday June 10th. Chuck Arkin encouraged people to register for the 2018 IBM Convention, to be held in nearby Grand Rapids Michigan from July 4th to 7th. Good and Welfare wishes and thanks were extended. Contestants for the evening in order of appearance, were Chuck “Cheatin Charlie” Meyer, Chuck “Sunshine” Sonenshein, Greg Hamilton, Chuck Arkin, Bill Pryor, and Josh Helton. Chuck Meyer opened with the three-shell game, followed by West’s “Four Dollar Trick”, then a version of Mike Close’s “Clones” sponge ball routine and ending with a comedy “Growing Penny” effect. Chuck delivered smooth patter and comedy throughout his routine. Chuck Sunshine followed with Steve Beam’s “Multiple Impact” mentalist routine involving five spectators. Each volunteer cut the deck to locate a card, and then buried the card within the deck. The deck was then cut and shuffled by the final spectator. Chuck mixed humor and audience interaction in this captivating routine. Greg Hamilton then borrowed a quarter from Bill Pryor, and had a volunteer draw designs on both sides of the quarter for unique identification. Next he cut a small slit in a paper bag through which the quarter was pushed into the bag. Greg then had the volunteer reach into the bag and withdraw a locked steel strongbox, into which the quarter had mysteriously penetrated. Next, Chuck Arkin borrowed a two dollar bill from Mark Wiechman. Mark then wrote the serial number of the bill on the outside of a paper bag for future identification. Chuck proceeded to visibly tear the bill into tiny pieces and drop the pieces into a second paper bag. After selecting the color “yellow”, and asking the audience to name something yellow, Bob Hedelsten said “banana”, and Chuck magically made a banana appear inside the second bag. Upon opening the banana, the borrowed bill which had been destroyed, re-appeared fully restored inside the banana, which was confirmed by matching its serial number. Our Dean Of Cincinnati Magicians, Bill Pryor, followed with Geoff Williams’ match-no-match card prediction. This was a fun betting game, with stakes progressively higher, as the volunteer attempts to predict whether sets of drawn cards will match each other with the same value. Bill then demonstrated a nice variation of the shell game, using two pennies, one nickel, and three caps. Finally, Josh Helton presented “The World’s Most Dangerous Card Trick”. Audience volunteer Frank Johnston freely selected a card and buried it into the deck. After a bit of byplay, including a fun card-throwing exhibition which cut through a vegetable, Josh placed the deck into a metal animal trap, and thrust his hand into the trap to retrieve the chosen card from the middle of the deck as the trap was closing. Well done! In a most tightly scored contest, in which the judges had only one point difference between first and second place, Chuck Arkin and Chuck Meyer won first and second place respectively, with Josh Helton winning third place. After the meeting, several of the attendees adjourned to a local restaurant for a late dinner and more magic. Our February meeting will be our Close-up Contest. We need to have at least five contestants to compete in order to award the winner of the contest a name on our plaque. So far I have two signed up, and will take up to eight more to perform. Please give me a call to enter! We have scheduled our board meeting in February to discuss the events for the rest of this year. If you have any suggestions, please call or email any Board member. If you did not attend the Teach a Trick in January you missed out on learning from the best! Many thanks to Ron Lawson, Frank Johnston, Pat Thernes, Chuck Sonenshein, and Bill Pryor for teaching twenty-five other attendees, eager to learn magic! 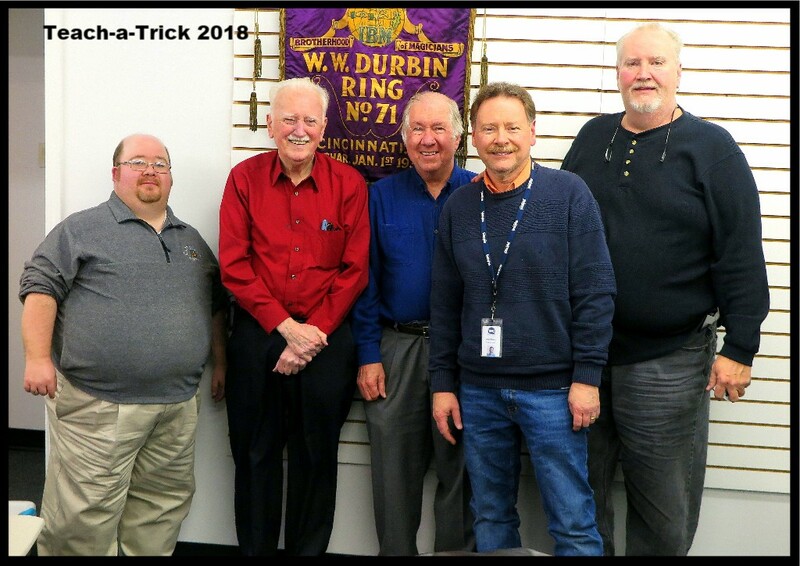 Ring 71 held its annual “Teach-A-Trick” event on January 19, 2018. President Pat Hartzel opened the night with announcements. After the “Good and Welfare” announcement, in which people wished positive medical recovery to Pam Thompson, President Hartzel mentioned the following upcoming club dates: Close-up contest on February 23rd, Cody Nottingham lecture on March 23rd, Magic Auction on Saturday April 28th, Tom Vorjohan lecture and elections on May 25th, and picnic date for either June 9th or 10th. The Past President’s plaque and gavel was awarded to Sir Patrick Thernes for the 2015-2016 fiscal year. He then distributed certificates of appreciation to the past officers and past Board of Governors who served with him. Attendees were encouraged to register for the 2018 IBM Convention, to be held in Grand Rapids, Michigan. Bill Pryor was recognized for his outstanding achievements and being on the cover of the IBM Linking Ring magazine. Mark Wiechman then provided his Treasurer’s report. Five of our members presented their “Teach-A-Trick” effects. First, Ron Lawson demonstrated a card trick attributed to Cameron Francis, named “Creation”. The effect, using a stacked deck in Sy Stebbens order, has an audience member select a card, which identifies a value, and a second card that reveals a suit, and then the magician identifies that “chosen” card’s position in the deck. Frank Johnston then shared and explained a card routine in which the volunteer selects a card, then four piles of cards are dealt, with the face-up values totaled and revealing the chosen card’s position in the deck. Sir Patrick Thernes then performed and taught a family-friendly routine, during which he used a Hyrams Handkerchief to “catch” a fairy, and then have the fairy send a message through the use of Spirit Slates. Chuck Sunshine presented and explained a series of card effects, during which (i) cards are shuffled resulting in all red cards face-up, and all black cards are face down, then (ii) a selected card is the only face-up card, then (iii) a freely selected card is produced from an invisible deck, and finally (iv) a four-Ace routine during which four Queens are selected and then transpose positions with the four Aces. Our final performer was Bill Pryor (a/k/a The Dean of Cincinnati Magicians). Bill first presented his “Duplicate Thoughts” routine. Fourteen cards are selected from a deck. Then, through a series of “did you see your card?” displays, Bill determined what card each volunteer selected, and whether both volunteers had the same duplicate thoughts. 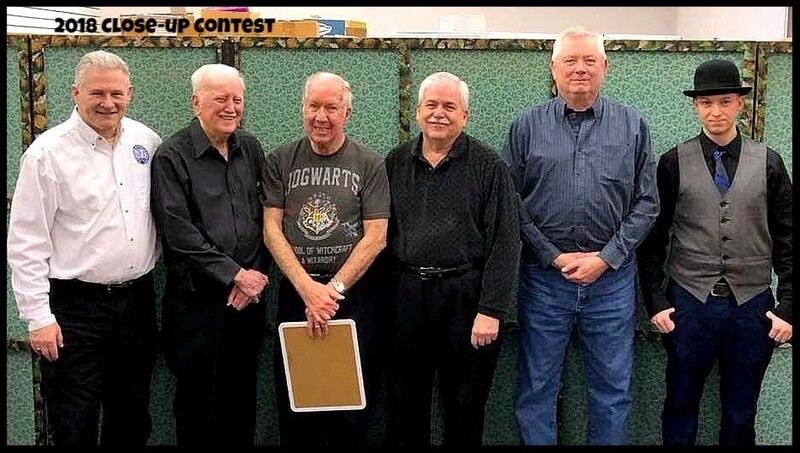 For his final presentation, Bill showed his “Shifty-Six” routine, in which the volunteer moved through a series of six cards, ending on a predetermined card prediction with a surprise kicker ending. These were a good sampling of effects available in Bill’s lecture notes and DVD which were made available to attendees. Well done! After the formal events concluded, the magical evening continued with fellowship at a local diner. Recreating the intimacy of popular vaudeville performances, A Little Night Magic is a new and exciting theatrical show that brings the audience into the Magical World of Award Winning Magicians Sir Pat-Trick and Mike Woodward. This fast-paced 90 minute performance piece is a fun filled family friendly show that uses traditional magic and side splitting comedy to transport the audience back into the time of the golden age of Magic, a time where Charlie Chaplin, Buster Keaton, Harry Houdini, and Howard Thurston all reigned supreme. Participants must be a paid up member of the club. The act must be between eight and ten minutes long. After ten minutes, points will be deducted from the score. Five Judges will be selected from non-participating members and guests from the audience. The MC (Master of Ceremonies) can not be one of the contestants. If you would like to participate, please contact President Pat Hartzel. Country Tonite Theatre is hosting another very magical weekend as magicians gather for a 3-day magic convention. This year’s event features several lectures, a dealer’s room, a close up competition, a stage competition and evening shows. Adults and children of all ages are welcome to join and we hope to see you there! 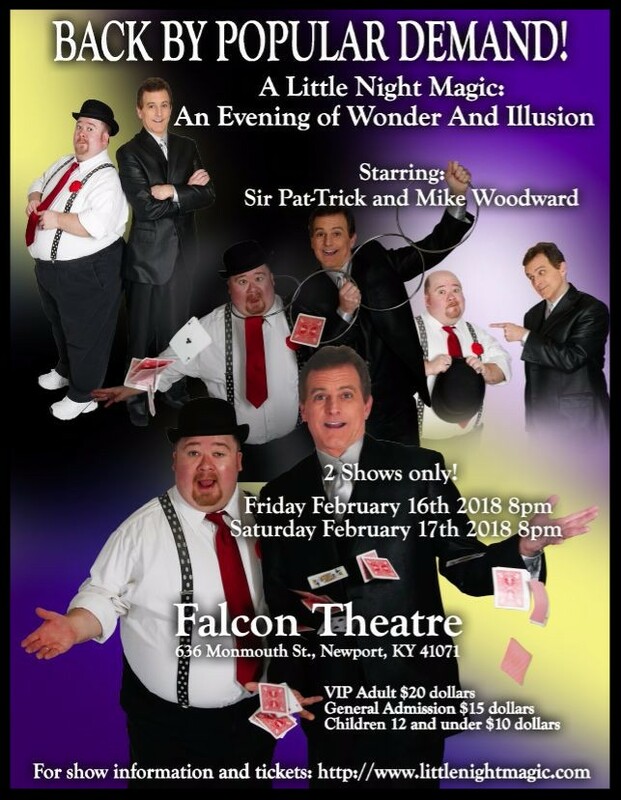 Year after year, the Winter Carnival of Magic has brought some of the greatest magicians to East Tennessee to perform and lecture. Past performers have included Jeff McBride, Oscar Muñoz, Pop Haydn, Losander, Joshua Jay, The Pendragons, Aldo Columbini, Arthur Trace, Terry Evanswood, Duane Laflin, Gene Anderson, Shawn Farquhar, and a long list of others. The Magic Auction returns to the Ring! More information will be coming! Stay tuned! Meanwhile, start collecting those magic props that you never use so you can turn them into $$$! What a wonderful month we had in November! It surely was magical! I hope everyone who attended the IBM/SAM Banquet had a wonderful time! Many thanks to Larry Payne, Bill Pryor, Mark Wiechman and a host of others in both clubs for their combined efforts to make the Banquet successful! Members of the International IBM were treated to an issue of “The Linking Ring” whose cover was adorned with our own Bill Pryor! On January 19th, we will be doing our “Teach-a-Trick” meeting. Please let me know if you would like to teach! The date has been changed from the 26th which was the weekend of Magi-Fest. The Officers and Board Members wish all of you Season’s Greetings and best wishes for a Happy New Year! 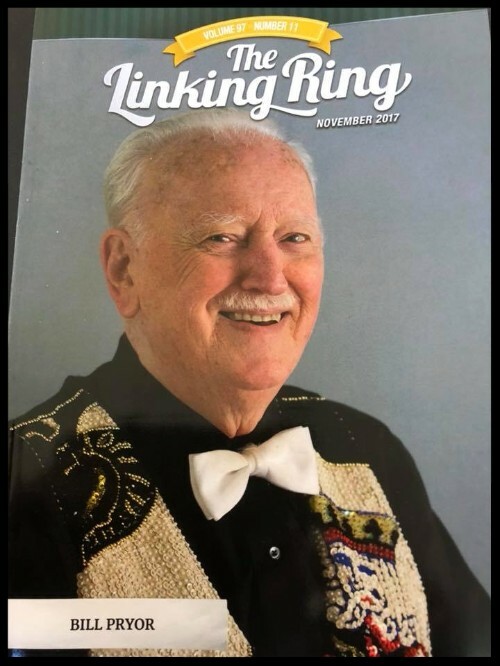 It was with much anticipation and delight to see the smiling face of our own Bill Pryor on the cover of “The Linking Ring”! The November issue contained a very well written article written by Chuck Sonenshein, which captures the heart and soul of Bill’s love of magic and his sense of humor. It is easy to see why he is the third Dean of Cincinnati Magicians! The issue also contained a congratulatory note from the members of the Ring, and he was also the feature of the “Hocus Pocus Parade”. This nine page article showcases and explains many of Bill’s effects that he invented. If you didn’t get enough of Bill in the November issue, he does re-appear in the December issue! Bill was mentioned in the article about the Houdini Club of Wisconsin’s Convention, where “Bill Pryor of Ohio dazzled convention goers with his fun, close-up magic with surprise endings, and a lot of prestidigitation techniques”. He is also the subject of the “Readers Write” column, written by our upcoming May lecturer, Tom Vorjohan. Cincinnati IBM Ring 71 and SAM Assembly 11 held two joint activities in November. The first was a lecture on November 10th followed by a banquet and show on November 12th. Kudos to Ring President Pat Hartzel and Assembly President Larry Payne for their leadership and positive energy which united the clubs for these two combined events. At the Friday night lecture, President Hartzel announced a few upcoming events, namely “Teach-A-Trick” in January, the annual Close-Up contest in February, a lecture in March, Magic Auction on Saturday April 28th, Tom Vorjahan lecture in May, and the Picnic in June, 2018. SAM President Larry Payne followed with details of Assembly plans including monthly magic themes and a promotional photo shoot in January. The remainder of the evening featured the lecture and demonstrations of close-up and parlour magic by comedy magician Geoff Williams. Geoff warmed up the audience by shuffling styles from around the world, including his Quadril 4-part false cut card flourishes, and the Jackie Chan Backhand spinning card catch. His first effect was “This One”, in which the spectator selects two cards from a stack of business cards, revealing those two cards were the only two with writing on them and the remaining cards were blank. Geoff explained using the Charlier false shuffle with this routine. Next he demonstrated and explained his reverse torn and restored newspaper routine named “Newspaper Clippings”. This and twenty-three other routines are superbly illustrated in his “..Violates My Parole..” lecture notes. Among the evening’s favorite routines was the “Omega Bet”, used with permission from Bob Wagner’s “Master Notebook of Magic”. This uses multiple volunteers who make progressive bets building to a spectacular climax. This is just one of the awesome routines from Geoff’s “No Adults Supervision” double-pack lecture book containing forty-six amazing and easy to perform routines. 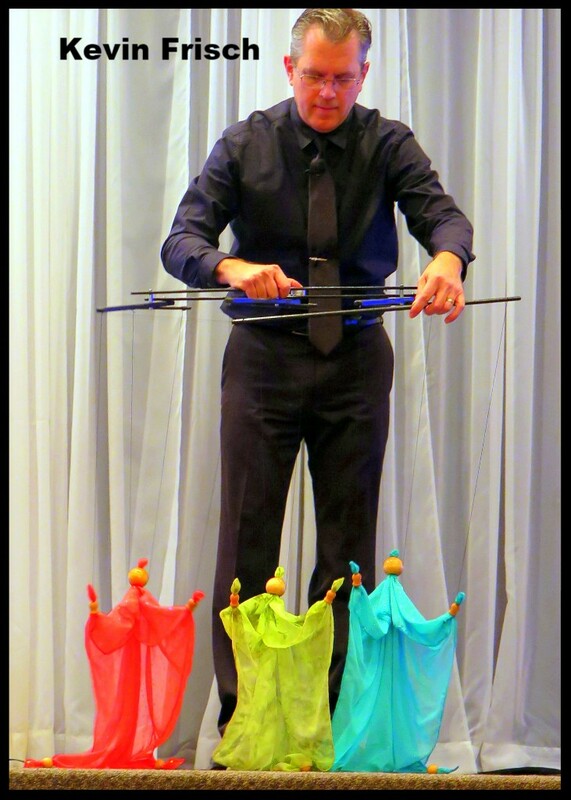 For impromptu strolling magic, the audience enjoyed the “Kewpie” routine which uses easy props to vanish and re-produce coins. Geoff then shared his version of an Invisible Deck routine, using a different (non-CHSD) deck ordering system. His “Bear Hands” (transposition of bear from a playing card to an unexpected place), sponge bunny production, floating card routine, torn and restored card method, and punched-and-restored raffle ticket routine were among the many additional effects which rounded out the evening. The following evening, IBM and SAM held a joint dinner banquet at Tori’s Station in Fairfield, Ohio. Each attendee received a free raffle ticket and door prizes from SAM Assembly President Larry Payne. After a delicious dinner, we enjoyed a two-part stage show. The opening act was the artistic marionette presentation by Kevin Frisch, of Frisch’s Marionettes, which included dancing and comedic routines from each of the characters. Between acts Larry Payne and Chuck Arkin distributed raffle prizes which were donated from several attendees. To close out the evening, Geoff Williams provided the main act, with an expanded version of his comedy magic routines. Geoff’s parlour magic was well received by the audience. Among the favorites were his “Binkie The Chicken” routine, Slydini-type cut-and-restored rope routine, and balloon antics. Special thanks to all our volunteers who helped make this banquet a great success!